Weymouth Specific Chiropractic provides comprehensive chiropractic care. Our goal is to promote your body’s desire and ability to heal naturally, without medications or invasive surgeries. Dr. David Burgdorf is a second generation chiropractor who understands your pain and the overwhelming effect it has on your life. He brings a unique perspective, having been raised with chiropractic as a part of his life since birth. It’s a perspective of hope, which he’s seen change lives. Why Not Call and Ask How We Can Help? We like to get to know each patient, listening carefully and working with them toward a healthy future. The only thing more rewarding than seeing our patients achieve and surpass their health goals, is when they share their chiropractic success story with their loved ones so they can benefit as well. Are you finally ready to give chiropractic a try? Call us today. Why Choose Dr. David Burgdorf as Your Weymouth Chiropractor? We know people tend to fear things they don’t understand. Our approach is to educate you one-on-one from the first time you pick up the phone to call us. We gently teach you beyond your fears, and continue to educate you individually because your condition and your body are like no other. We believe in sustainable therapy, and to provide that, we analyze the root causes of your health concerns. 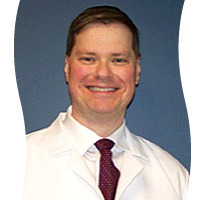 Dr. Burgdorf will talk with you about your lifestyle, work ergonomics, stress, sleep habits, diet and exercise, and your previous injuries and illnesses. All of this helps him understand what may be causing your pain. Our first goal is to precisely diagnose your condition. We then address the root cause – encouraging total healing and avoiding relapse and re-injury. Contact our office to learn more about the care we provide. Serving Weymouth, Braintree, and Quincy communities.